I will help you and your employees Sleep Better – Feel Better – Work Better. I understand the association between sleep, performance and health. I work with organizations throughout Canada and the United States using my expertise to optimize employee performance and minimize absenteeism, risk and health costs. From power generation to gas and oil distribution, manufacturing, transportation and health care, I am there – helping organizations be more successful by incorporating sleep and fatigue management into their training, operations and health and wellness programs. I provide real solutions based on leading-edge research and practical experience in human resources, training, management and OH&S. Through seminars, printed resources, employee assessments and sleep disorder screening, I bring awareness and problem-solving strategies to you and your organization. I provide practical and personalized solutions using my unique Shiftwork Adaptability Profile. I am distinguished from other providers of shift work information because I offer practical solutions – if it doesn’t fit in with shift workers’ schedule or lifestyle or an organization’s operations, it is just a waste of time. My experience has led me to an understanding of what is practical, but yet reflects the best expertise on the subject. A wider range of relevant content – shiftworkers have a primary interest in sleep, diet and family strategies. I go beyond the basics and provide information about common sleep disorders and strategies for maintaining alertness and overcoming sleepiness and fatigue while at work or driving. I also have a broad knowledge of health and what is required for well-being and I apply this to the needs of shiftworkers. Specialize in circadian rhythm disorders – giving information about shiftwork is only relevant if it is based on knowledge of circadian rhythms and circadian type. I incorporate this information in a simple to understand explanation so that shift workers can work ‘with’ their body and not against it. Assessments – for those shift workers who are having more than the usual challenges with shift work, I have developed an assessment to determine the root of their difficulty and their ability to adapt to the rigors fo shiftwork. I can make recommendations regarding any accommodations that may be necessary. 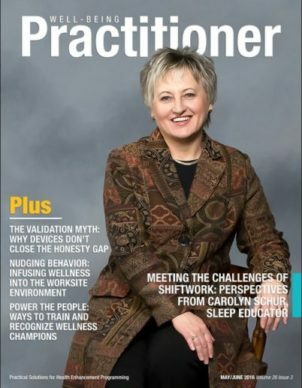 I provide practical and personalized solutions using my unique Shiftwork Adaptability Profile to help you Sleep Better – Feel Better – Work Better!